How much did you spend on Christmas Presents? 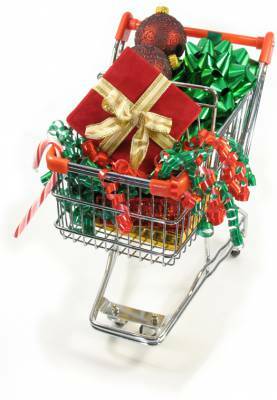 On average, Money Dashboard users spent £177.89 on Christmas presents this year. How much did you spend? If you use Money Dashboard free budget software there's a way to see your total Christmas present spend. According to our data, the average spend by a Money Dashboard user on a single Christmas present was £37.42. Many of these were purchased from amazon.co.uk, and could have been cheaper if the user had received an Amazon discount from Money Dashboard's Price Beater. Sell old clothes, toys, mobile phones, electronics, etc. to make room for presents you received, especially if your present makes the old item redundant, like a new phone or computer. If you have a garden, store unopened bags or boxes of frozen food in the cold outside so you have more room in the freezer to make your Christmas dinner leftovers last longer. Make sure the food is protected from rain damage, and birds or animals by putting it in a box or heavy duty bag. Buy sunglasses and swimwear. They're cheapest this time of year, and you'll pay much more if you wait until summer. Close all your curtains and blinds at night, it will keep the heat and reduce your gas and electricity bill.